What can you buy from Aliexpress? Anything you can buy from ebay, you can literally buy from Aliexpress plus more. Especially for electronics components. 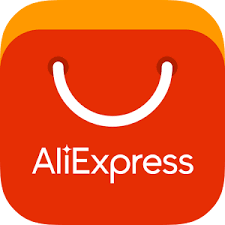 You can buy IC, transistors, resistors, capacitors and just about anything electronics from Aliexpress. Prices sometimes are cheaper than ebay, but not all the time. Take for example this USB to RS232 converter. In Jaycar, it is selling for $29.95. here. In ebay, the cheapest I can find is $1.00. here. Geez, this is not such a good example....So the cheapest in this case is in fact ebay! But ebay dont have the varieties of electronic components like Aliexpress. Say for example I need to buy an IC - LP8550 which is quite a common IC used to repair Apple Laptop computer backlight which is water damaged. in Aliexpress, it is about A$5.50 for 5. here. in ebay, it is about A$10 for 1. here. Deliveries from China to Australia typically takes about 3 weeks for small parcels which is most electronics components. So time is a factor. Aliexpress used a feedback system similar to ebay so you can see the merchant rating. Typically stick with merchants that have at least 99%+ ratings. I have never have issues with buying items off Aliexpress. Word of warnings. There are faked products selling on Aliexpress. You typically can spot them as their prices are much cheaper. see this Hakko FX-888 Soldering Iron. Normally selling for A$200. And they have it for half the price here. Make no mistake, this is a fake. Which currency should I be paying with? Choose AUD if you dont have a card like 28 Degrees. Choose USD if you have a 28 Degrees card.